The tribunal has not been provided with the infrastructure, staff or resources to properly function. The National Green Tribunal (NGT) was constituted in October 2010 to speed up the adjudication of environmental litigations, and also to address the environmental problem from multiple perspectives by involving both judicial and expert members in the decision-making process. At present, the NGT has four zonal benches in Kolkata, Pune, Chennai and Bhopal, and a principal bench in New Delhi. With the establishment of the NGT, India became the third country in the world to set up a specialised environmental tribunal, only after Australia and New Zealand, and the first developing country to do so. While the establishment of the tribunal and its performance over the last seven years has been lauded by petitioners, lawyers and civil society groups, the journey so far has been far from smooth. And the future of the NGT looks bleak and hopeless due to the indifferent approach of the political regime. Political apathy in allowing the NGT to function as an effective body started from its inception, but the scale and form of it have intensified in the recent past. First, the UPA-II regime took almost three years to set up the zonal benches and provide the necessary resources, infrastructure, courtrooms and staff. This too was possible due to the intervention of the Supreme Court, which directed the Ministry of Environment, Forests and Climate Change to provide all the facilities and amenities to the judicial and expert members. The lack of facilities and support from the government led to the resignation of three judicial members – C.V. Ramulu, Amit Talukdar and A.S. Naidu – between 2012 and 2013. The apathy continued during the NDA regime. 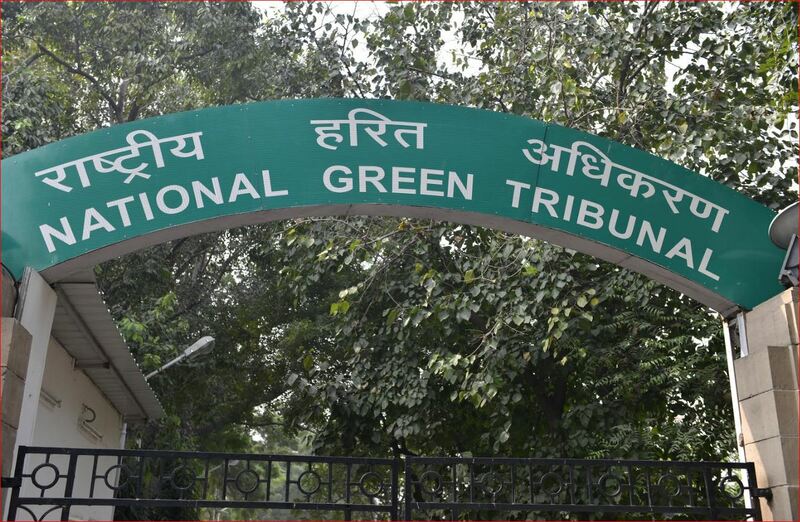 Since May 2014, the NGT has never got the staff it required to resolve the mounting number of environmental litigations. Section 4 of the NGT Act 2010 says that the tribunal shall consist of a full-time chairperson and not less than ten judicial and ten expert members, but subject to a maximum of 20 full-time judicial and expert members. Forget about minimum ten judicial and ten expert members, the tribunal doesn’t even have a total of ten members today. There has been no full-time chairperson since Justice Swatanter Kumar’s tenure ended on December 19, 2017, and there are only two expert members and four judicial members for all the five benches including the principal bench in New Delhi. The tenure of the current acting chairperson, Justice U.D. Salvi, will end on February 13, 2018. The vacancy of judicial and expert members led the Chennai bench to completely shut from January 3, 2018. Things are worse in both Kolkata and the Western Bench in the absence of expert members. No judgment has been passed by the Kolkata bench since November 16, 2017, after expert member P.C. Mishra’s tenure ended. After the retirement of expert member Bikram Singh Sajwan and Justice Kumar on December 9 and 19, 2017 respectively from the principal bench, Justice Salvi and expert member Nagin Nanda have been shifted from the Pune bench to principal bench and Justice Jawad Rahim has been shifted from principal bench to the Pune bench. So the Pune bench now has no expert member and has not been passing judgments due to this. Justice Jawad Rahim and Justice S.P. Wangdi from the Kolkata and Western Bench, respectively, have expressed their limitation to pass judgments due to the lack of quorum – minimum one judicial and one expert member to an adjudicate environmental matter before the NGT. Consider the Pune bench, for example. Since the retirement of expert member Ajay A. Deshpande in May 2017, no expert member has been appointed to the bench. Expert members of all other benches – P.C. Mishra, Ranjan Chatterjee, Nagin Nanda and B.S. Sajwan – had attended hearings between June and December 2017. The non-availability of members and reshuffling from one bench to another bench as a stop-gap arrangement has impacted the functioning of the NGT hugely and more specifically, the parties involved in the litigation. The parties had to brief the new member and in some cases repeat the argument, which delays adjudication. Vacancies have allowed powerful parties to shift the matter to other benches for speedy disposal, but have put a lot of pressure on the underdogs to convince the tribunal not to shift the matter. Thousands of litigations relating to forest diversion without compliance, compensation to pollution victims and farmers, big investment projects like dams, power plants, mining and metro are pending across the benches, without hearing due to the lack of quorum. Instead of filling the current vacant positions, the Ministry of Environment, Forests and Climate Change brought an amendment to the National Green Tribunal (Practices and Procedure) Rules on December 1, 2017, stating that in exceptional circumstances, the chairperson may constitute a single-member bench. This attempt goes against the spirit behind the enactment of NGT Act. It was due to the inability expressed by the Supreme Court to deal with complex scientific and technical questions involved in environmental litigation that a specialised body was constituted. Now the government wants it to function without a multi-disciplinary decision-making body. Thankfully, the Supreme Court stayed this notification on January 31, 2018, and posted the matter for hearing on March 12, 2018. In addition to political disinterest to appoint members to the NGT, there have also been attempts to dilute the power and function of NGT. For example, the recent rules framed under Section 184, referred to as the Tribunal, Appellate Tribunal and other Authorities (Qualifications, Experience And Other Conditions Of Service Of Members) Rules, 2017 gives unbridled power on central government to provide for qualifications and conditions of service of members of various tribunals, especially the NGT. Environmental lawyer Zaman Ali from the Pune bench believes this is a serious encroachment into the composition and functioning of NGT. Earlier, to qualify as NGT chairperson, a person should have been a judge of the Supreme Court or the chief justice of a high court. But under the Finance Act, 2017 modifications, now even a non-judicial member or expert member could be the chairperson of the NGT. This was challenged by Jairam Ramesh in the Supreme Court and the fate of the notification will be decided by the apex body. What the establishment fails to realise is that the NGT is not an obstacle to growth and doesn’t reject projects. An analysis of NGT orders from 2011-2017 suggests that the NGT is not stopping projects, rather it gives ample opportunity to the industries to take precautionary measures or asks for a review of the environmental impact assessment report. In most cases, industrial owners come back with the changes suggested and get the project approved. Yes, there are open and shut cases in which industries or mining units operating without clearance have been directed to be closed down. But this cannot be labelled as a hindrance to development. These are questions involving whether we should take the law for granted or adhere to it. In fact, the NGT has resolved a majority of the cases within six months in comparison to the delay and time taken by the Supreme Court and high courts in resolving environmental matters, and its disposal rate is around 85%. The NGT has delivered a number of landmark judgments emphasising the principles of environmental justice, polluter pays, the precautionary principle and inter and intra-generational equity. Though occasional hiccups have been observed in its orders, like in the Art of Living Foundation case, the contribution of the NGT to environmental governance cannot be ignored. The NGT needs to be strengthened to its full potential. The presence of a variety of expert members and judicial members will make the tribunal an effective body and might produce a win-win situation for all stakeholders to address the goal of sustainable development. The prime minister’s appeal to investors to come to India, promising that there will be a red carpet, will not convince investors if institutions are not strengthened to perform their statutory duties. The effectiveness of a democratic regime depends on its interest to promote and support institutions that hold the principles of justice – in this case, environmental and social justice, equity and rights of stakeholders including both pollution-affected victims, and investors to assert their rights within the legal framework. Geetanjoy Sahu is associated with the Tata Institute of Social Sciences, Mumbai.